Anolis cyanostictus was considered a subspecies of Anolis chlorocyanus until Köhler and Hedges split it off in 2016. 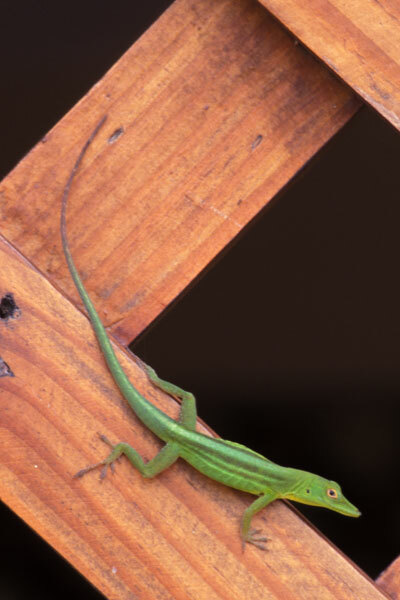 Female and juvenile Hispaniola green anoles, like this one, are sometimes striped. This one shared the trellis of our veranda with a Large-headed anole and several Bark anoles. 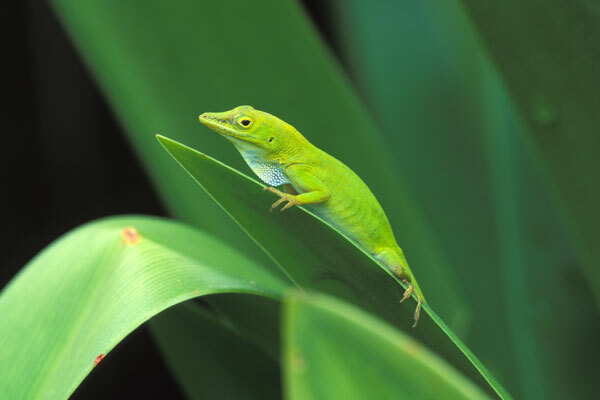 Hispaniola green anoles are very similar in size, color, shape, and behavior to the American green anole. One difference is that the dewlap is baby blue, instead of the strawberry red of the U.S. species. 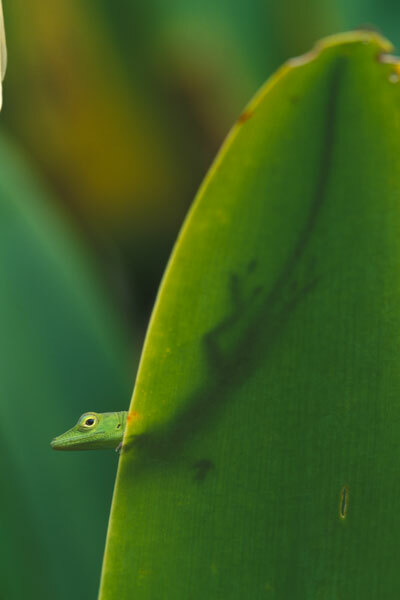 The anole with the dewlap partially extended here stayed that way for a long time. I easily caught by hand one sleeping Hispaniola green anole in our villa at night, and it reacted with a good wriggle and, surprisingly, multiple squeaks. 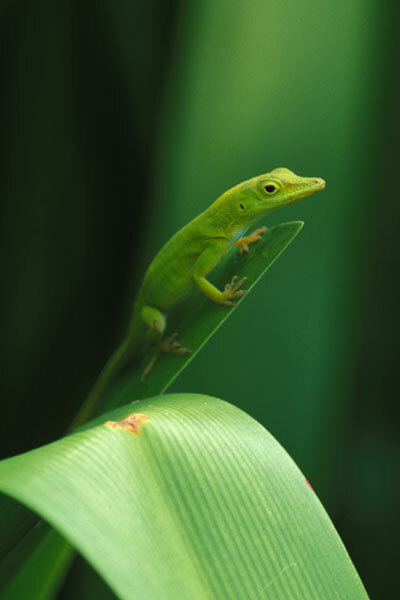 I knew geckos made all sorts of squeaks and chirps, but I didn't realize that anoles did. Herpetologist Bob Powell later sent me mail confirming that many anoles vocalize.